April | 2012 | Words are flowing out like endess rain into a papercup. 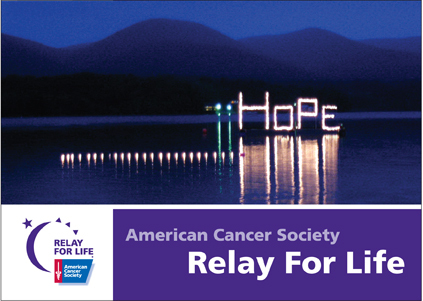 Relay for Life is a week away and thoughts about what it all means have been circulating in my thoughts. For the past couple years Virginia Tech has been the top fundraising university in the world. This is something that we pride on and events around campus are taken place on a weekly basis. But when it comes down to it, it is more than fundraising nights at Moe’s, walking around the Relay for Life track at 4 AM, or even sending out an e-mail, like I’m doing right now, asking for the smallest donation. What it is all really about, is providing the opportunity to enrich someone else’s life. To know that because of your efforts, some one else is able to enjoy the life they are so desperately fighting for. This January I had a very life changing experience. I visited Sierra Leone on a mission trip where my eyes were opened to a totally different world. A world where severe poverty reigns, where possessions are few, and people hold close the love that they have for each other. About a month ago I also visited Uganda for a school-related project and again was faced with a culture where clean water is scarce, the government was corrupt, and a roof over your head is not guaranteed. Ironically enough, after visiting these countries, I came home with envy with how much appreciation they have for life and the love they have for one another. With all the adversities they face, all they have is pure happiness and love for what they do have. They taught me what it was like to truly be humble, truly sincere, and live simply. They were the most loving people I’ve ever met, and maybe ever will meet. With all this being said, one thing that stuck with me was what seems to be so unfair with this world. Although we may all want world peace and for everyone to be happy, one thing that really upset me was that countries like these don’t have the access to modern medicine like we do. Places where malaria is caught like the common cold, while the American travelers are able to take a daily pill to prevent it, the Africans die by the millions. Places where common sicknesses that we face everyday are life threatening. But mostly it was unfair to look into the eyes of a 17 year old boy who is suffering from cancer and knowing that the chances are unlikely, simply because they don’t have the same medicine. 5.) Simply fill out the Payment Information and the Billing Information however you would like. Also feel free to join the team too!